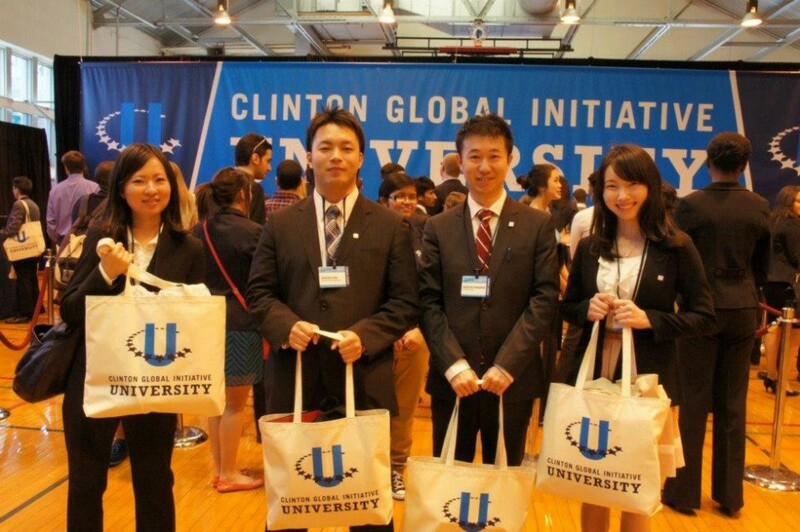 The Clinton Global Initiative University is an annual conference where students from around the world convene at an American university to discuss prominent global issues, namely Education, Environment and Climate Change, Peace and Human Rights, Poverty Alleviation, and Public Health. Over the course of a weekend, the students attend special events and sessions led by guest speakers who are leaders in their respective fields. These sessions give the students opportunities to discuss world issues, develop practical skills, and devise plans to tackle global problems. On April 4, 2013, representatives from the U.S. Embassy, TOMODACHI, and Delta Airlines met with the four TOMODACHI Clinton Global Initiative University Fellows at Narita International Airport before their flight to the U.S. The students travelled, courtesy of TOMODACHI sponsor Delta Airlines, to St. Louis, Missouri, to participate in the Clinton Global Initiative University 2013 from April 5-7, where they met with students from around the globe, and learned how to develop and implement social projects that they have committed to pursuing.